Well, what a busy week it’s been for #ReadingRhys! When I canvassed interest in the concept of a Jean Rhys Reading Week earlier this year, I had no idea that it would gather quite so much momentum in such a short space of time. It’s been truly wonderful to see the level of interest in reading Rhys’ work both amongst new readers and those already familiar with her unique style. Firstly, I’d like to thank Eric at Lonesome Reader for being such an enthusiastic and knowledgeable co-host for the week – his insights into Jean Rhys and her work have been truly enlightening. Thanks also to Poppy at poppy peacock pens and Margaret at New Edition for taking a lead in reviewing and contributing to the discussions on a few of Rhys’ books as part of the week. Do visit their blogs if you haven’t done so already as they’re definitely worth a look. Thanks to Andy Miller (author of The Year of Reading Dangerously and co-host of the Backlisted podcast) for kindly speaking to me about Rhys – I couldn’t have wished for a more enthusiastic advocate of her work. Finally, and most importantly, a huge ‘thank you’ to everyone who has participated in the Reading Week, either by posting a review, sharing thoughts via Twitter, contributing to the discussions on blogs, GoodReads or social media, or simply by reading one of her books – the level of engagement has been terrific. Just for a bit of fun, I’ve collated together a selection of tweets from the week, mainly pictures, quotes and responses from various readers – you can view them here via Storify. But really she hated the picture. It shared, with the colour of the plush sofa, a certain depressing quality. The picture and the sofa were linked in her mind. The picture was the more alarming in its perversion and the sofa the more dismal. The picture stood for the idea, the spirit, and the sofa stood for the act. Secondly, there is Rhys’ ability to create and convey character. Much has been said about Julia Martin, a figure who elicited mixed opinions among the various readers of this book. While some people saw her as vulnerable women with limited options in life, others viewed her as rather feckless and self-centred – a woman with a strong sense of entitlement for want of a better phrase. To me she seems like a woman deserving of our understanding and compassion, another of Rhys’ women trapped by circumstances and the cruelty of life. I particularly liked Grant’s comments on Julia. Here’s a brief passage from his review. While it is natural to view Rhys’ fiction as bleak and melancholy, a number of people picked up on the undercurrent of wry humour in her work, not just in the novels, but in the stories too. Staying with Rhys’ short fiction, other readers highlighted some of the parallels between these pieces and certain elements of the writer’s own life. In some ways, her stories read like little vignettes, dealing as they do with the marginalisation of women and the perpetual fragility of lives lived on the edge. As Marina put it, where Rhys succeeds so brilliantly is in her ability to take a certain experience from her own world and heighten it, “polishing it until it catches the light of universality.” Maybe that’s one of the reasons why her work remains so relevant today; the emotions are timeless. All the elements of Rhys’ fiction are here in miniature: the feeling of being the perpetual outsider; the fear of poverty and the constant scrabble for money; the importance of clothes in these women’s lives; the near constant dependence on men. There are many more. Finally, I couldn’t finish without mentioning a few of the descriptions of Rhys’ work which stayed with me throughout the week. A couple of people quite rightly described Rhys as a poet, someone who gave a voice to the sole woman, the lonely outsider whose very existence hangs by a thread. All three succeeded in capturing something of the essence of this unique writer. All that remains is for us to reveal the winner of our prize for making a significant contribution to the week. We’re delighted to announce that the winner is Dorian of the Eiger, Mönch & Jungfrau blog for his brilliant post on Teaching Rhys. Congratulations Dorian – a special bundle of Rhys’ books will be on its way to you shortly. Many thanks to Penguin for their generosity and support of the reading week – it is very much appreciated. This entry was posted in Book Reviews, Jean Rhys Reading Week, Rhys Jean and tagged #ReadingRhys, #ReadWomen, Fiction, Jean Rhys, Jean Rhys Reading Week, Novella, Penguin Books, Penguin Modern Classics, Short Stories on September 22, 2016 by JacquiWine. 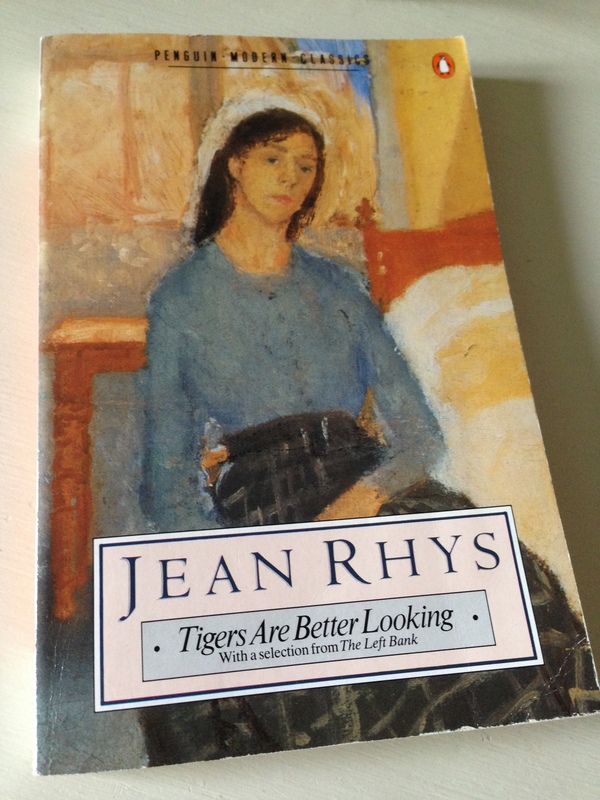 Earlier this week I posted a piece about Tigers Are Better-Looking, a set of short stories by Jean Rhys – the book was first published in 1968 even though many of the pieces were in fact written much earlier (during the 1940s and ‘50s, I believe). Wednesday’s post looked at the eight stories in the first section of the book. My 1987 Penguin edition of Tigers also includes nine pieces from Rhys’ first book, The Left Bank and Other Stories, a collection of sketches and vignettes published in 1927. It is now widely considered that these Left Bank pieces (along with her early novels) were significantly ahead of their time in terms of style, tone and theme. The Left Bank itself is currently out of print, but I managed to get hold of a relatively rare copy by way of an inter-library loan. It’s a fascinating book, all the more so because it’s possible to see the origins of some of Rhys’ themes and preoccupations in these early sketches. 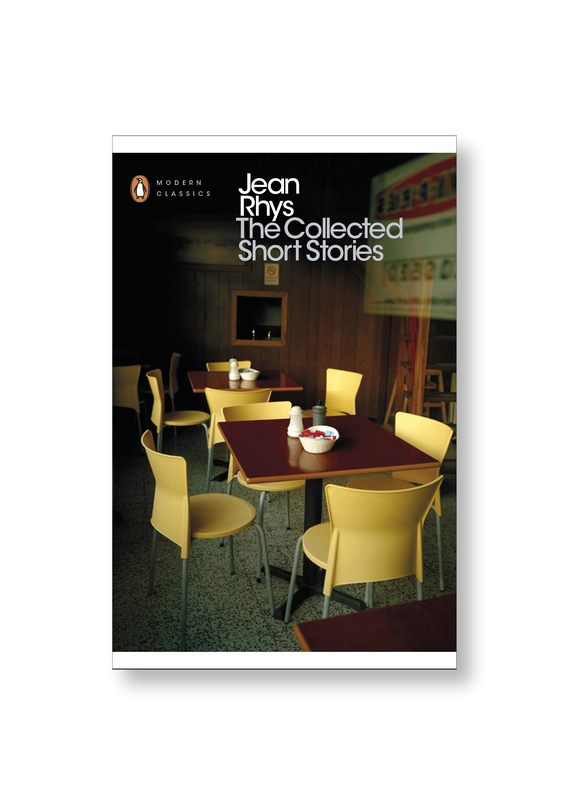 As you may know by now, Penguin will be publishing Jean Rhys’ Collected Short Stories in March 2017 – this volume will include all the stories from her three collections, The Left Bank (1927), Tigers Are Better-Looking (1968) and Sleep It Off, Lady (1976). A hugely exciting development for fans of Jean Rhys! In the meantime, I’m going to focus on the nine ‘Left Bank’ sketches which appear in editions of Tigers – these pieces form the second section of the book. In Illusion, one of my favourite stories in this section, the narrator tells us about her friend, Miss Bruce, a portrait painter from Britain who has been living in Paris for the past seven years. To all intents and purposes, Miss Bruce appears untouched by the beauty and indulgences of life in the French capital. Eschewing anything frivolous in favour of a sensible tweed suit and brown shoes, her one concession to Paris is a touch of powder on her nose. One day, a more surprising side of this lady’s character emerges. When Miss Bruce falls ill and is taken to hospital, her friend thinks she might need some things from her room, a couple of nightgowns and a comb or a brush. But when she opens Miss Bruce’s wardrobe, the narrator is astonished to find an array of beautiful dresses, gowns of every colour, ‘a riot of soft silks’. This discovery reveals a quest both for the perfect dress and for the transformation it might help to furnish. In essence, the contents of this wardrobe represent the search for an illusion. Mannequin features a typical Rhys protagonist. It focuses on Anna – a fragile, delicate girl, her hair ‘flamingly and honestly red’ – who goes for an interview as a mannequin in a Paris salon. Having gained the approval of the vendeuse, Anna is engaged to model the ‘jeune fille’ dresses. Her salary is a pittance, but as a beginner she can scarcely expect anything more. At first, everything seems strange and alien to Anna; the atmosphere is efficient if somewhat hectic. In time though, Anna meets the other eleven mannequins; each of the twelve has her own distinct style and individual look. Despite the coldness of that passage quoted above and a few wobbles for Anna along the way, Mannequin is pretty upbeat for a Rhys story. It finishes on a fairly optimistic note as the young girl feels a sense of connection to the Paris, this ‘great maddening city’ that is her home. The appropriately titled Hunger features a woman teetering on the edge of a precipice. Breakfast consists of coffee, and if she is lucky, there might be some bread for lunch. It is not uncommon for her to go without food for several days. In this story, the narrator describes how she feels as the days of starvation pass by. It’s tremendously powerful stuff. A couple of the stories are rooted in the Caribbean. Mixing Cocktails draws on the languid dreams of a young girl, a childhood spent in the heat of the sun. Set in Dominica, Again the Antilles tells of a quarrel between a newspaper editor – a born rebel embittered by the colour of his skin, he is neither black nor white – and a local landowner/producer. Both of these pieces are brief sketches. The collection ends with two longer pieces, the first of which, La Grosse Fifi, is set in a gloomy hotel on the French Riviera. This story focuses on two women, both of whom are staying there: a somewhat melancholy lady named Roseau and a rather large woman by the name of Fifi. One of Roseau’s acquaintances considers Fifi to be a bit of an old tart (this woman certainly stands out from the crowd). He makes fun of Fifi, laughing at her appearance and her gentleman friend, a young gigolo by the name of Pierre Rivière. Roseau, on the other hand, thinks rather fondly of Fifi, especially as the woman comes to her aid one night when she is feeling rather tired and bruised by life. Fifi’s presence is comforting to Roseau; in some ways, it makes her feel protected and strengthened. I don’t want to say too much more about this piece; it might spoil it, I think. What I will say is that it ends with a mix of emotions, a dramatic development adding a touch of poignancy to Fifi’s story. The final piece, Vienne, is arguably the most ambitious in the collection. In many ways, it reads like a series of vignettes, snapshots of central Europe in a certain era. Narrated by Francine, a young woman in her twenties, it follows a young couple’s travels from Vienna to Budapest to Prague in the early part of the 20th century (more specifically the 1920s, I think). Having made his fortune on the exchange, Pierre has plenty of money to spend on Francine, at least at first; there are cars, a chauffeur, clothes, and jewellery, everything a woman could want. Nevertheless, in spite of living the high life, Francine has a terrible presentiment of danger ahead; in the knowledge that she will never be able to cope with being poor again, her mind races at the prospect. Not to be poor again. No and No and No. So darned easy to plan that – and always at the last moment – one is afraid. Or cheats oneself with hope. I can still do this and this. I can still clutch at that or that. How you fight, cleverly and well at first, then more wildly – then hysterically. I can’t go down. I won’t go down. Help me, help me! Steady – I must be clever. So-and-So will help. But So-and-So smiles a worldly smile. And so it continues in this vein. When everything comes crashing down, as it inevitably must, the pair make their escape to Prague. This is a wonderful story packed with little sketches and vivid images of life in Vienna, Budapest, and the journey from Hungary to Czechoslovakia as it was then. Like some of the later pieces from Tigers, one or two of these early Left Bank stories include snatches of stream of consciousness – you can see it in the passage from Vienne quoted above. In The Left Bank stories, Rhys’ themes are perhaps a little broader than those she mines in Tigers. Alongside the pieces which explore the loneliness of the outsider, the fear and anxiety of lives lived on the margins, there are other topics too – most notably the central European culture of the day depicted in Vienne. Rather than repeating some of the ground I covered in my first piece on Tigers, I’ll leave it there. Hopefully these posts will have whetted your appetite for Rhys’ Collected Short Stories which Penguin will be publishing next year. In the meantime, do take a look at Max’s review of La Grosse Fifi and three other stories from The Left Bank. This entry was posted in Book Reviews, Jean Rhys Reading Week, Rhys Jean and tagged #ReadingRhys, #ReadWomen, Book Review, Fiction, Hotels, Jean Rhys, Jean Rhys Reading Week, Penguin Books, Short Stories, UK on September 18, 2016 by JacquiWine. Welcome to #ReadingRhys, a week centred on reading and discussing the work of Jean Rhys, now considered one the greatest writers of the 20th century. You can read a little more about her here in these articles from The Guardian and The Paris Review. As I’ve mentioned in previous posts, this week Eric (of the Lonesome Reader blog) and I have teamed up to coordinate discussions about Jean Rhys’ writing and life. As a latecomer to Rhys’ work, I’m still working my way through her books which are distinct for their unique style and brutal honesty. Eric, Poppy Peacock (who writes about books at poppy peacock pens), Margaret Reardon (a long-standing Rhys fan) and I will be posting about all of Jean Rhys’ major books over the course of the week. During her lifetime, Rhys published five novels: Quartet (1929); After Leaving Mr Mackenzie (1930); Voyage in the Dark (1934); Good Morning, Midnight (1939); and Wide Sargasso Sea (1966). She also wrote several short stories – a number of collections have been issued and are still available to buy secondhand if you’re willing to hunt around. There’s a series of letters too, plus Smile Please: An Unfinished Autobiography. I’ll be focusing on After Leaving Mr Mackenzie (coming up later in this post) and Rhys’ stories, plus I have a very exciting interview lined up for later in the week – all will be revealed in due course! 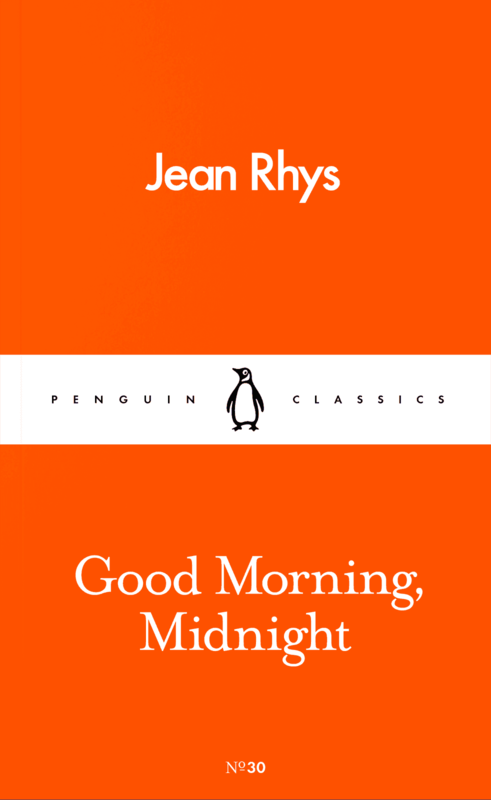 As luck would have it, Penguin have recently reissued Rhys’ novel Good Morning, Midnight as part of their brightly-coloured Pocket Penguins series. You can read the first chapter of this brilliant novel here. As a special incentive to join in #ReadingRhys week, Eric and I will select one lucky person who makes a significant contribution to our discussions over the week to win a special Jean Rhys Package (courtesy of Penguin)! In preparation for the event, I went back to After Leaving Mr Mackenzie, a novella I reviewed last year – you can read my initial post here. Revisiting this book again, I was struck by a few additional things – firstly the author’s use of imagery to convey the harshness of the environment in which Julia, the central character, finds herself. Here’s a short quote from the Paris section of the story. Similarly, London is portrayed as a cold and terrifying place offering little comfort to Julia, in her hours of greatest need. There are lots of references to animals too. One gets the sense that the Rhys protagonist considers animals to be rather more dignified than many of the people she is forced to deal with. What you see is what you get, so to speak – with these creatures there is no pretence. Once again, the cruelty of society at the time comes through loud and clear. In effect, Julia is considered an outsider. Marginalised by her former lovers and family members alike, she is virtually forced into begging for assistance, an experience she knows will almost certainly end in utter humiliation. Finally, and perhaps most importantly, what really struck me was the precision of Rhys’ prose style. There are no superfluous words or descriptions here; everything is pared back to the bone to focus on the characters’ emotions. The use of descriptive passages is limited to those instances where the provision of some element of context is deemed vital to the story. As a consequence, the full effect is incredibly striking. The members of my book group read this novel with me. As I had expected, opinions were fairly mixed with around half of the group feeling very little empathy or sympathy for Julia while others felt more understanding of the vulnerability of her position. This post is already on the long side, so I can say a little more about the various responses in the comments if people are interested. Everyone found something different in the book, especially in relation to Julia, which is an interesting finding in itself. I’d love to hear your thoughts on this novel if you’ve read it. I hope to see you here again on Wednesday when I’ll be covering an excellent collection of Rhys’ stories, Tigers are Better-Looking. In the meantime, enjoy the week! 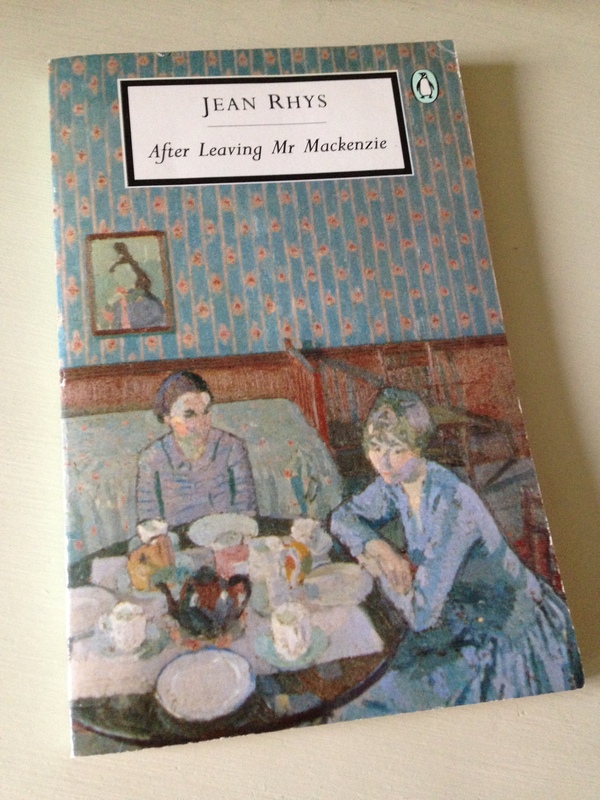 This entry was posted in Book Reviews, Jean Rhys Reading Week, Rhys Jean and tagged #ReadingRhys, #ReadWomen, Book Review, Fiction, Jean Rhys, Jean Rhys Reading Week, Novella, Penguin Books, Penguin Modern Classics, UK on September 12, 2016 by JacquiWine.